this a used small dog crate. 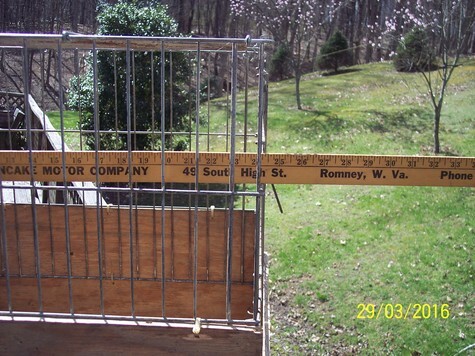 it has been altered to raise the height 6". it can easily be put back to the original height including the wire bottom and metal pan.